Lips are known to be very sensitive apart from being the center of attraction and responsible for youthful impression. Because of their sensitive nature and ability to perform various functions, they may have the tendency to damage or even naturally degenerate in terms of their shape, firmness and complexion. Cosmetically speaking, the multiple functions performed by the lips can lead to degeneration of the outward appearance which can be referred as abnormalities in many ways. Uneven presentation and loss of volume of lips would cause subtle and deflated view of them which is not a pleasant sign. These negative abnormalities or cosmetic disorders can be easily corrected with lip enhancement procedures at our Leeds Clinic. We recommend dermal fillers that are also injectable cosmetic products; they are also different from the surgical alternatives. The objective of these Lip Fillers is to increase the volume and density of your lips that would suite the facial expressions and body type, dermal fillers play a major role in accomplishing such an enhancement process. They are safe, sustainable and naturally the procedure is widely known to be a subtle process because it doesn’t result in any permanent physical change. 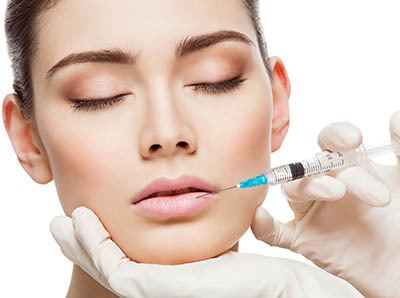 Dermal fillers have become a routine part of cosmetic therapies meant to enhance the facial beauty. They are also rated among the top cosmetic solutions designed for restorative purposes. The present generation cosmetic solutions are maturing towards facilitating restorative and reconstructive outcomes that are also reliable for long term sustenance. There are multiple advantages with procedures like lip enhancement with Lip Fillers among them the elimination of surgical involvement is always worth mentioning. Cosmetic beauty enhancement can also be about simple corrective measures and solutions that are trusted for providing a well toned and complete impression of a particular target region, which is the case with lip enhancement procedures as well. Lip fillers and dermal fillers are identified with fine injections that are preferred to fill in the lost volume of your lips, apart from just filling the space they are also instrumental in limiting any further damage for the lips. Our clinic at Leeds has been working on to upgrade our facilities and all our efforts are directed to provide exclusive and targeted solutions for our patients. To that effect, we have the cosmetic experts with specialization to perform simple to complex procedures and lip enhancement is one of the premium solutions we offer at Leeds Clinic. Lip enhancement is also called as an augmentation procedure because it involves enlargement, restoration and reconstruction. Unlike many complex procedures, it is pretty much simple with scope for instantaneous results and predictable outcome. The core procedure of lip enhancement is accomplished by injecting the dermal fillers in the target areas of your lips. Juvederm Smile® injection is our recommended choice of Lip Fillers and our experts at Leeds Clinic refer it for its superior properties and ability to provide a natural look for your lips after the therapy. You can retain the natural look and impression as long as the dermal fillers injected in your lips remain effective. From the perspective of cosmetology and restorative procedures, the core objective from the patients’ point of view is to achieve the redefined shape with natural look and impression. We also consider this aspect to be very significance and you can witness our efforts to help you achieve your preferences are evidently clear at every phase of the therapy. The procedure of injecting dermal fillers or Lip Fillers would require around thirty minutes; you can attend the consultation and immediately undergo the procedure. You can also ask for another appointment if you want time to consider the merits of lip enhancement treatment offered at our Leeds Clinic. We always ensure that adequate time allotted for counseling and consultation session which are meant to apprise you about the procedure in terms of its advantages and benefits along with care and caution required during the post therapy phase. It includes suggestions about swelling and pain management; you can exercise precautionary measures with better understanding. Juvederm Smile® is also recommended because of its unique formula that reduces the pain during the therapy. Injecting phase is divided into few parts to give short injection shots with required breaks between each of them. After injecting the dermal fillers, we will massage your lips to let the fillers settle well. You can find yourself with fuller and impressive lips because of the restored volume. Since lip enhancement is a simple and non surgical procedure, you may not expect major therapy related complications. However, the generic instructions pertaining to standard cosmetic treatments are to be kept in mind. You need to be aware of the precautions to take before and after the therapy. Injection site reactions like swelling are very common and you will be alerted about the same when you undergo the procedure. You have nothing to panic as these reactions would not lead to serious complications and conditions like swelling will subside within 24 to 48 hours without any special medical care. Lip enhancement is precisely about achieving an augmented shape and impression of your lips that would compliment your facial beauty and overall personality. It is good to keep in mind that your choice of Lip Fillers at a cosmetic clinic should facilitate to help you achieve your cosmetic preferences. At Leeds Cosmetic Center, you can expect comprehensive care, quality treatment solutions and expert advice about your cosmetic health and priorities. Nu Cosmetic Clinic is a reputed name in cosmetology with dedicated centers for cosmetic care and treatment across the UK. You can be confident about the care and support you get from other locations at par with the Leeds Clinic.